HomeNotificationNorth Railway Recruitment 2017 for 3162 Apprentices - Get Details. North Railway Recruitment 2017 for 3162 Apprentices - Get Details. 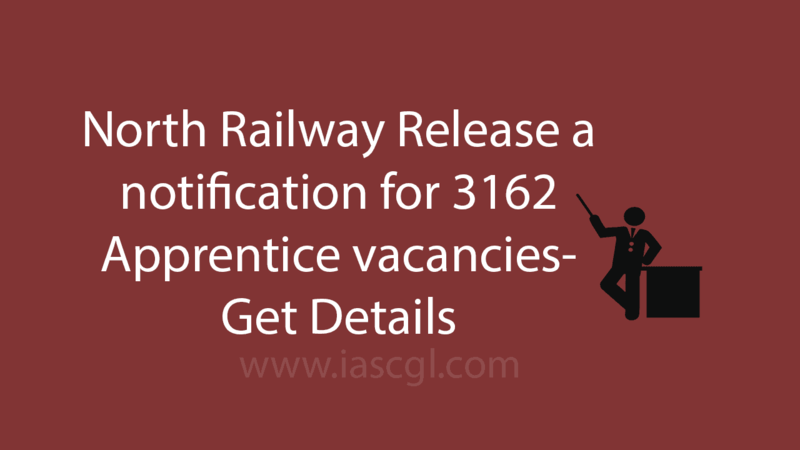 North Railway release a notification for 3162 Apprentice. 10th pass can apply. North Railway release a notification for young and interested candidate for the engagement of Act Apprentices. In this apprentice, North Railway train candidates at various Divisions/Units/Workshops, that would help them to improve their skills and get a railway job in future. There are total 3162 vacancies of apprentice in the official notification of NR. application fee of ₹100/- is to be paid through ONLINE MODE. No fee is required to be paid by SC/ST/PH/Women candidates. Selection will be made on the basis of merit prepared taking the average of the percentage marks obtained by the candidate in both Matriculation (with min. 50% aggregate marks) & ITI examination giving equal weightage to both.